You know that TIFF is really drawing near when the Midnight Madness slate drops out of the heavens. Today's announcement includes news that the opening night will delight Toronto audiences with the world premiere of Shane Black's "reinvented" The Predator. 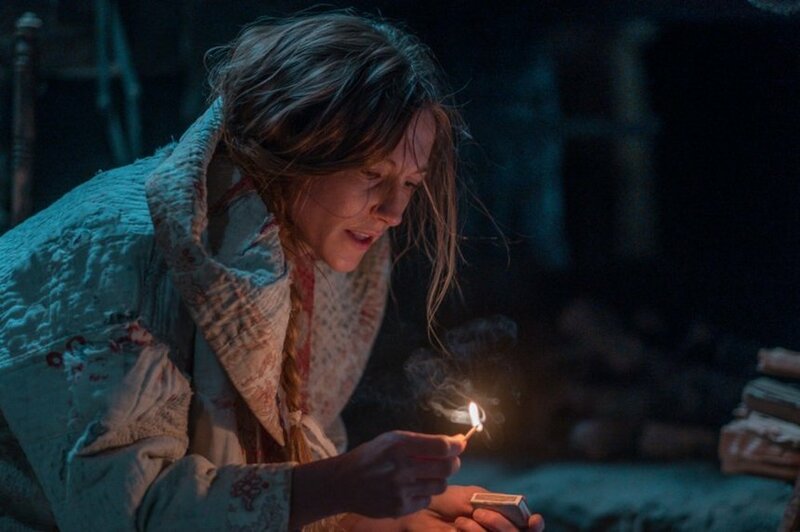 The full announcement is below but we're also very excited to see world premieres of Emma Tammi's supernatural Western The Wind (pictured) and the eagerly anticipated David Gordon Green take on the Halloween franchise. What are you most excited for? Let us know below. TORONTO — Midnight Madness has just announced its explosive lineup of films for the 43rd Toronto International Film Festival ® . Screening to an audience of die-hard film fans every evening at 11:59pm, this year’s programme features 10 quintessential genre movies that are guaranteed to either terrorize or mesmerize. Kuplowsky continues to put his fearless stamp on the programme, starting with the opening film: the World Premiere of Shane Black’s The Predator, the director’s reinvention of the iconic film series. The lineup will also feature the highly anticipated World Premiere of Halloween , directed by David Gordon Green and starring Jamie Lee Curtis. The programme closes with the North American Premiere of Diamantino , Gabriel Abrantes and Daniel Schmidt’s bizarre, genre-bending film that fascinated audiences at Cannes earlier this year. Midnight Madness will also present the North American Premiere of the electrifying Gaspar No é ’s Climax . The films in this year’s lineup will feature strong performances by actors such as legendary Italian star Monica Bellucci, who plays the queen of a demonic underworld in the World Premiere of Nekrotronic , directed by Kiah Roache-Turner. Other films include Peter Strickland’s highly anticipated In Fabric , which follows the life of a cursed dress, and the Canadian Premiere of Assassination Nation , directed by Sam Levinson. Additional World Premieres from this year’s selection will include Emma Tammi’s The Wind ; The Standoff at Sparrow Creek , directed by Henry Dunham; and Vasan Bala’s The Man Who Feels No Pain , the first Indian film ever selected for the Midnight Madness programme. THE PREDATOR Trailer: Shades of AVP Haunt Shane Black's "Reinvention"